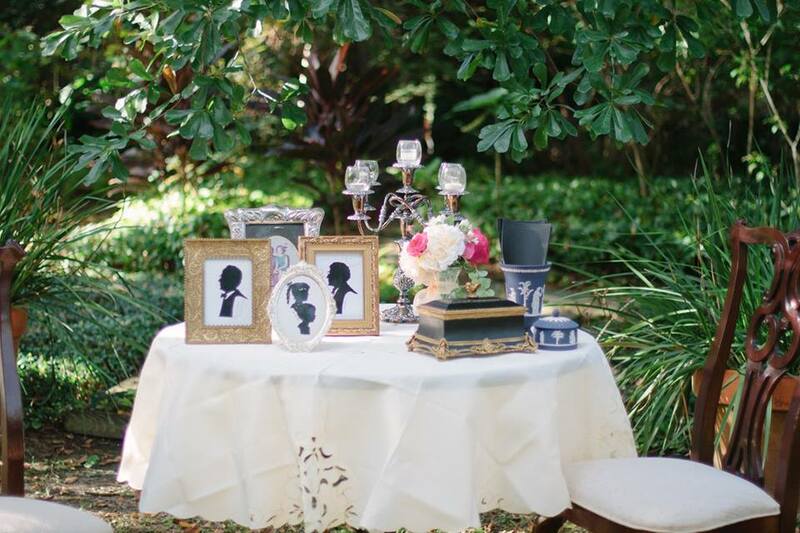 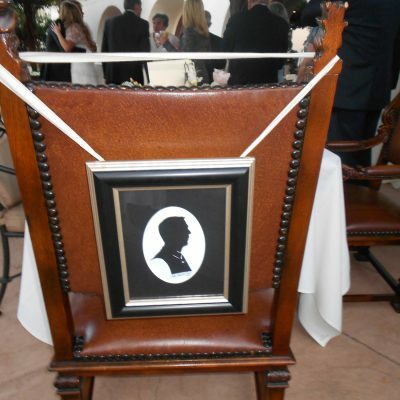 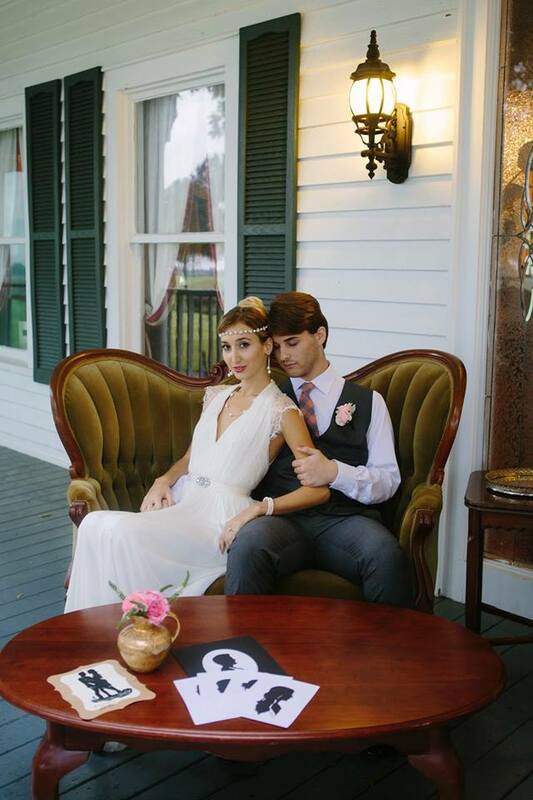 Hire wedding silhouette artist Cindi Rose for your wedding reception, and entertain your guests while you give them each a historical keepsake! 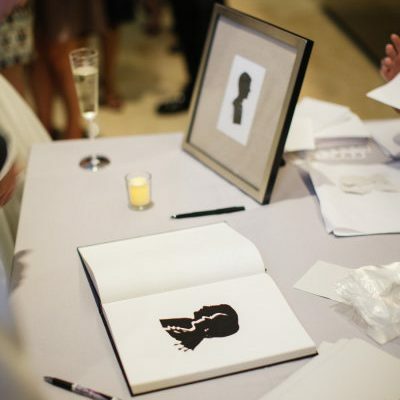 As a weddings silhouette artist, Cindi feels blessed to have been given this wonderful gift of being able to capture the likeness of loved ones in minutes. 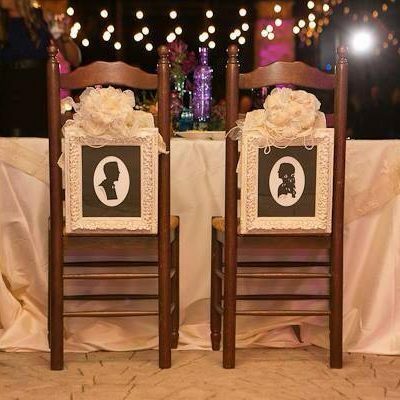 She offers the bride and groom lovely oval picture frames of their silhouettes, as a wedding gift from the premier silhouette artist. 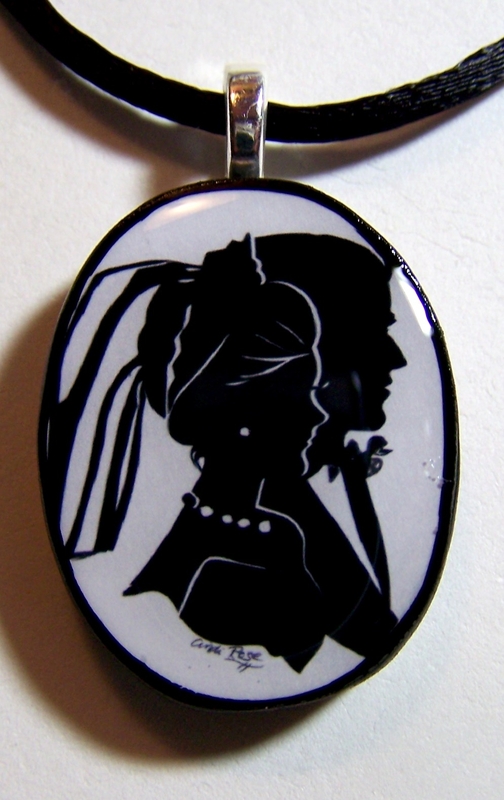 Many people live an entire life and have not met one of the less than 38 real silhouette artists in the entire world. 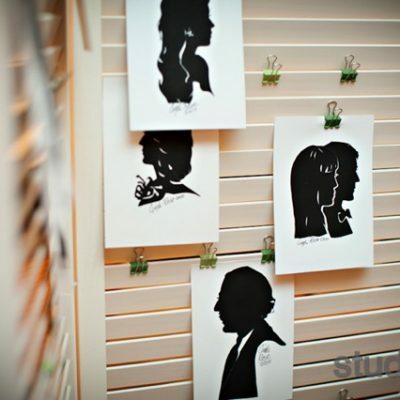 One silhouette artist Cindi Harwood, claims there were only 13 when she started. 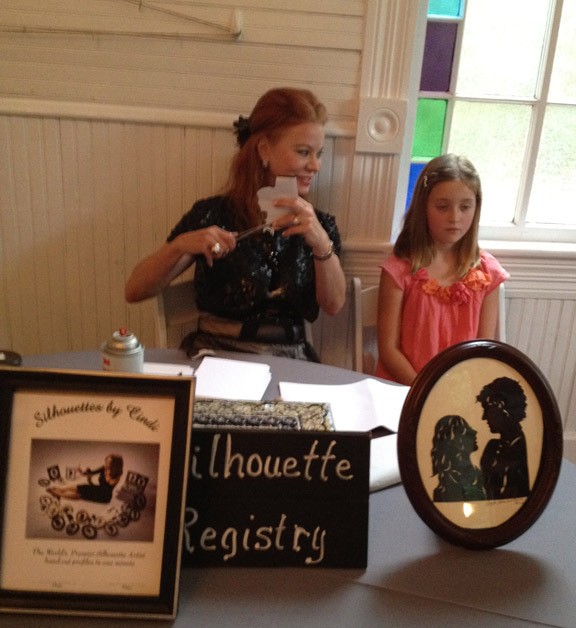 By, the way, that is me, and now I am Cindi Rose, silhouette artist for weddings! 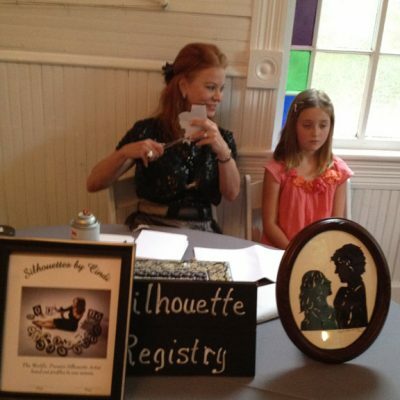 My father was an attorney, and great speaker, which allows me to be able to communicate with others (think stage, film, TV, commercials and reality TV). 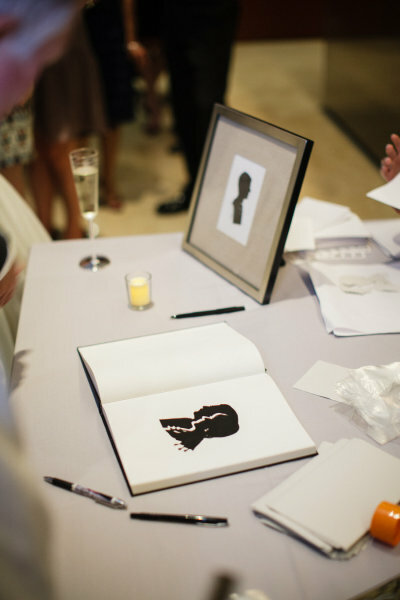 My mother was a portrait artist and paper cutter, and architectural designer. 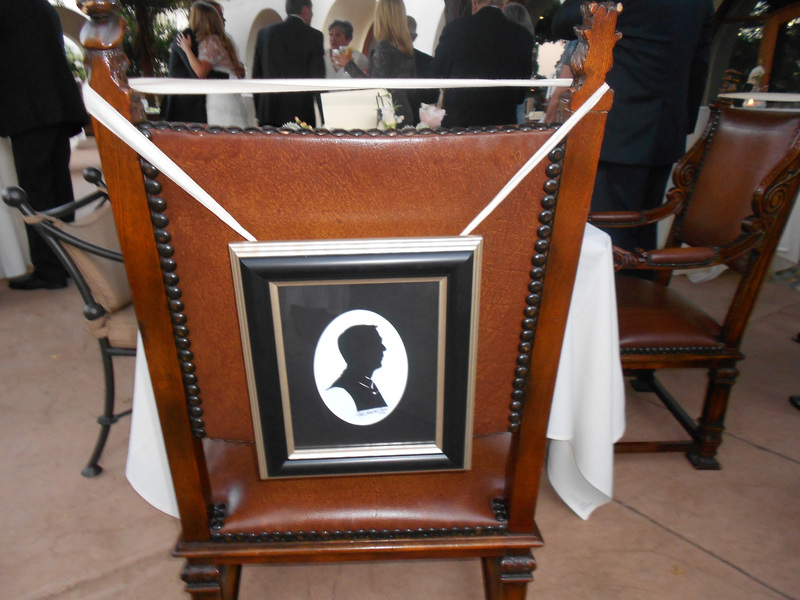 The talent just came to me, as it did to many other fine silhouette artists. 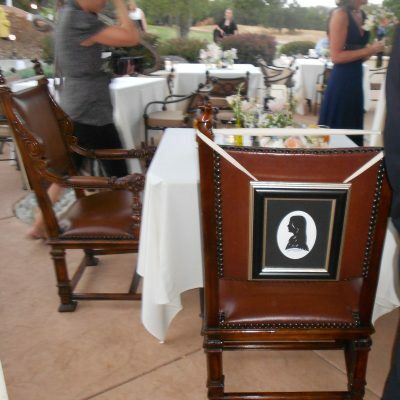 At the wedding, we normally work from a table, and two or three chairs, and a waste basket. 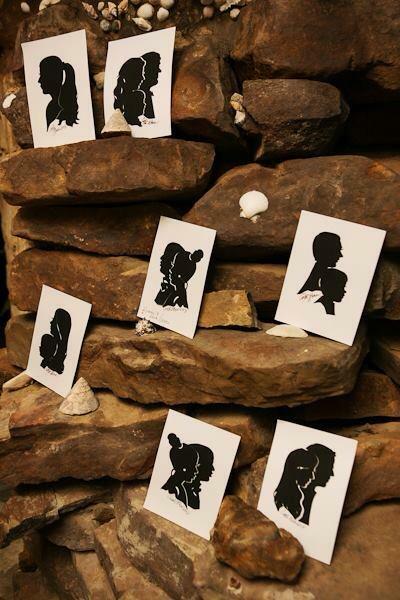 We use our eyes to see the profile, so none of us like to work in the dark. 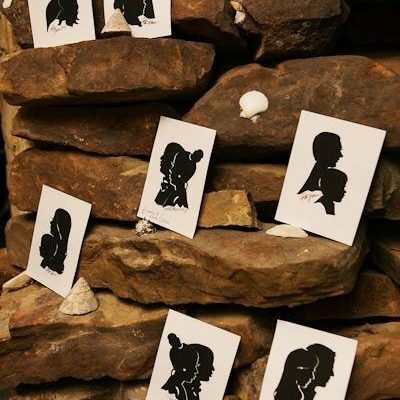 Some silhouette artists travel with a lamp to assure the area is not dark. 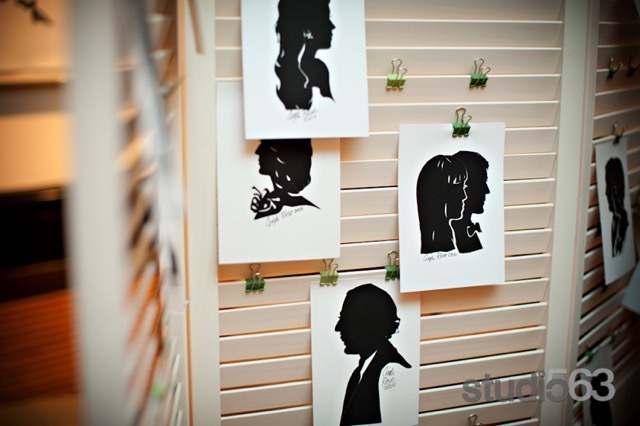 I carry silhouette samples, and normally have pre-cut the bride and groom, and display that on my table. 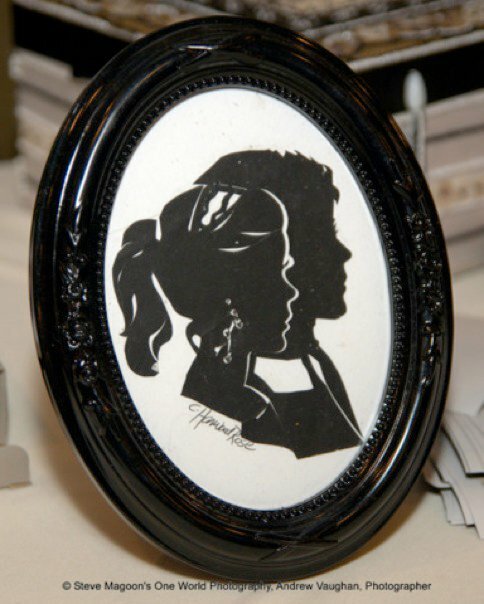 Often the whole wedding theme is silhouette art of the bride and groom. 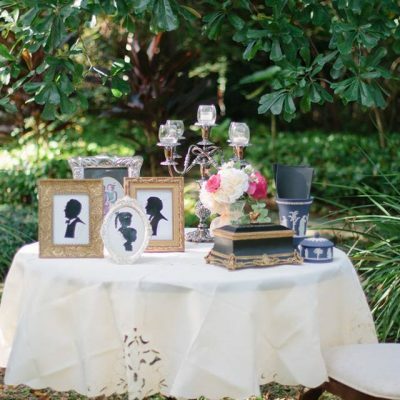 I have gone further and have made silhouette table cloths, and silhouette hankies, silhouette cookie cutters, and napkins. 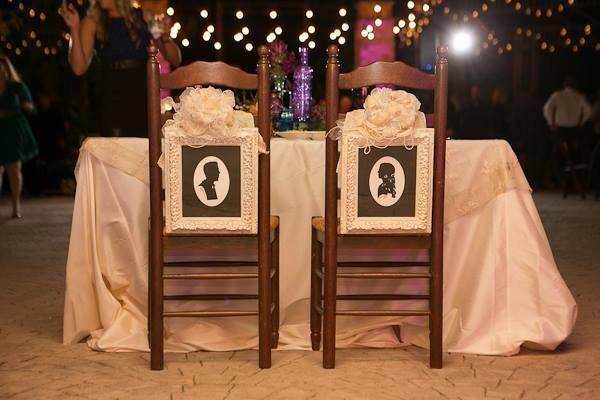 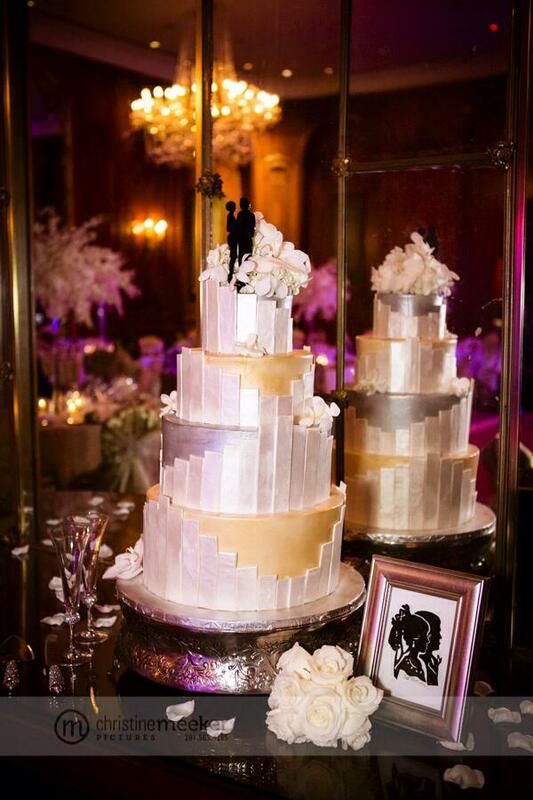 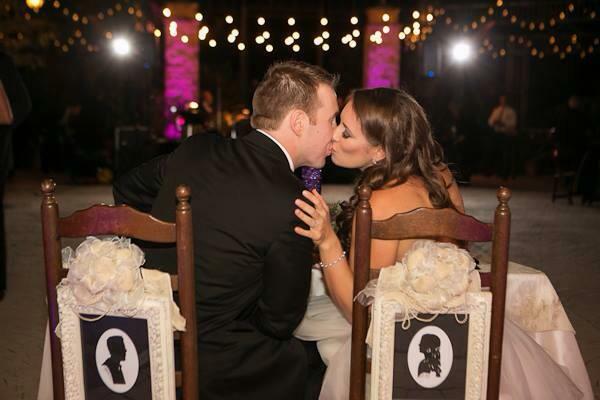 Cindi started a new trend with her Heirloom Silhouette Weddings! 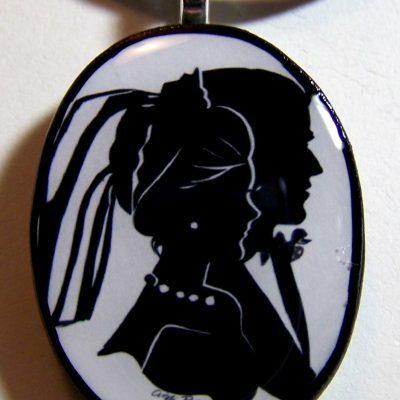 Her silhouette artwork is not the generic style you may find that does not contain details, or is computer generated or drawn first, then, cut. 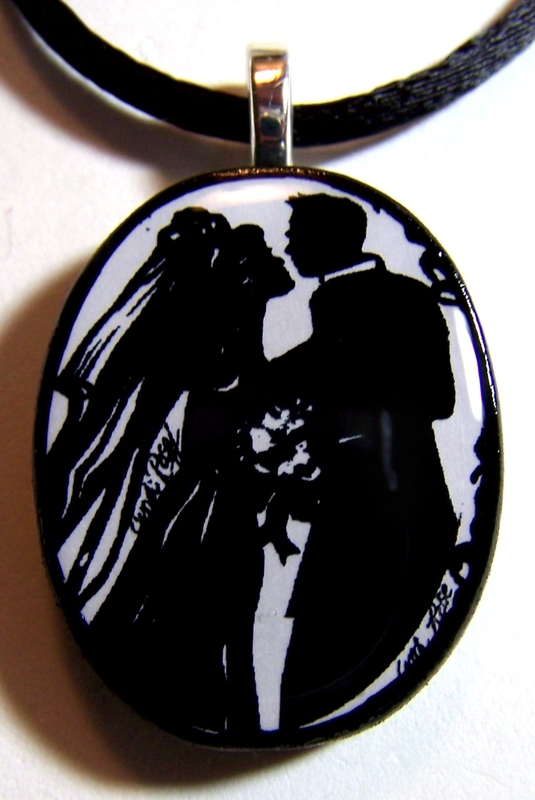 These are delicate heirlooms and keepsakes! 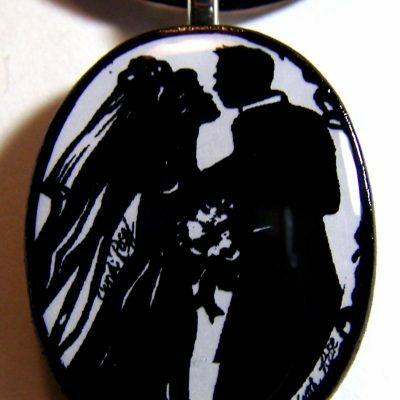 Cindi, a natural born artist, merely looks at you, and does not sketch, she cuts the profile directly out of thin black paper, then mounts it on acid free cardstock, signing each piece. 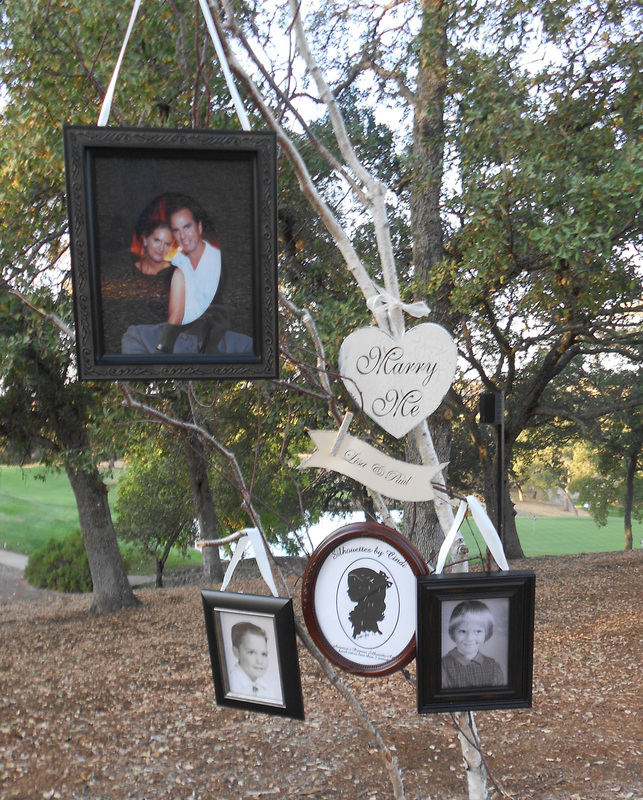 “It was wonderful, to visit Carmel, California, as a working vacation,” Cindi admitted. 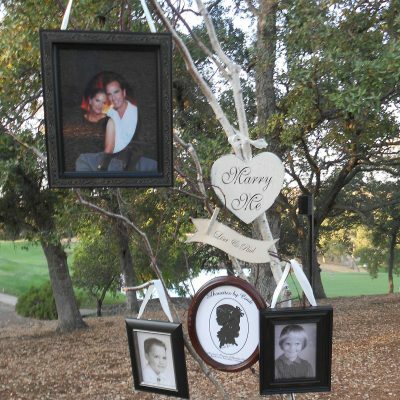 She said her husband Franklin Rose played golf at The Inn at Spanish Bay, while she cut wedding silhouettes for the wedding reception party. 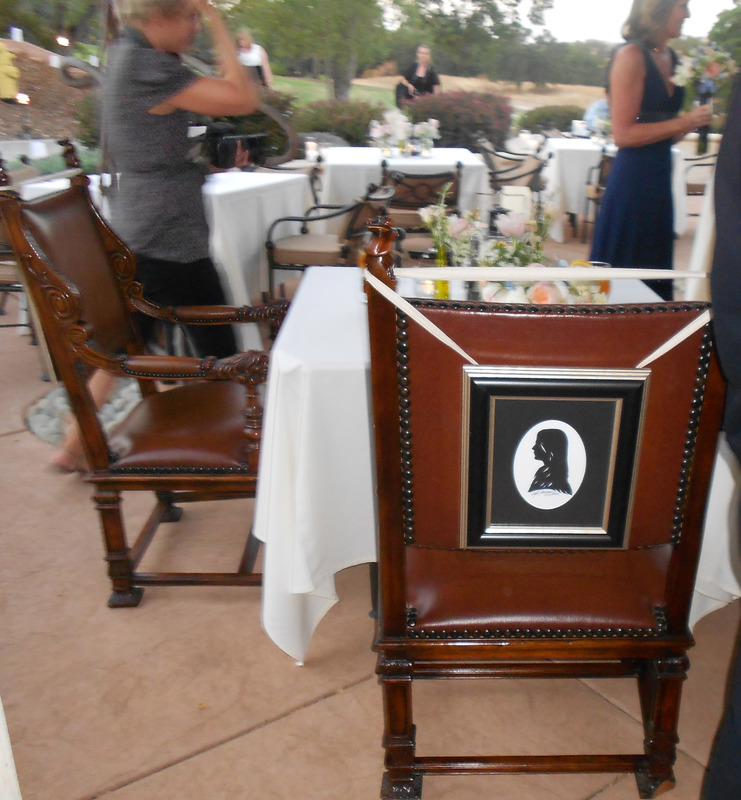 Cindi did two silhouettes of each guest, and of course, the bride and groom, one for everyone to keep, and one for a guest book signed by each guest for the newlyweds to cherish forever! 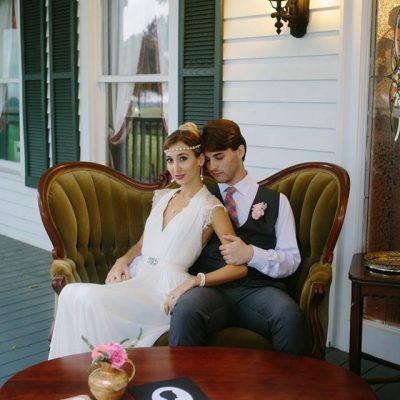 She brought her own camera and captured a few shots to share with the many who tie the knot for bliss ever after. 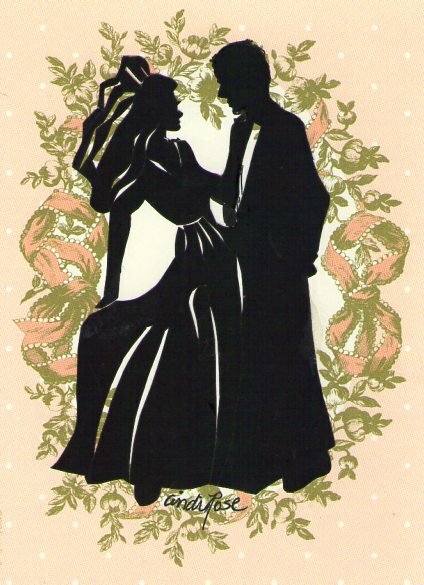 . . silhouettes by the sea, and by C. H. Rose! 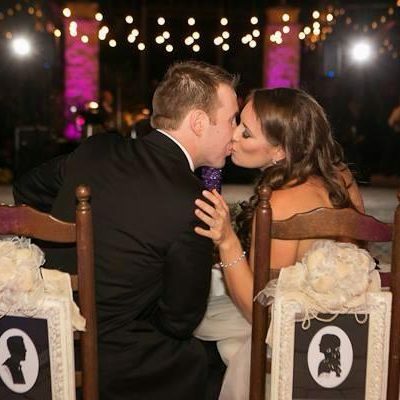 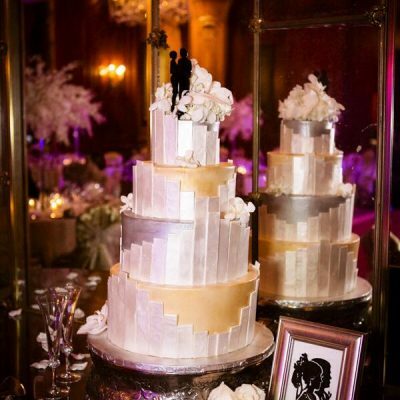 Cindi will come to you, in Dallas, NYC New York, Denver, Los Angeles, Washington DC & more – hire her for your wedding or event, Cindi has scissors & will travel to you!